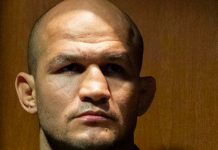 Last night, in the main event of UFC Boise, former UFC heavyweight champion Junior dos Santos stepped into the Octagon to battle former World Series of Fighting champion Blagoy Ivanov, who was making his anticipated UFC debut. The bout marked dos Santos’ first fight after a lengthy SNAFU with USADA, in which he was ultimately deemed innocent, but suspended anyway. 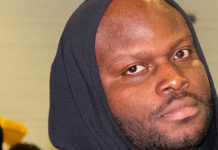 For this reason, it was extra crucial that dos Santos pick up a win if he hoped to reestablish himself as one of the heavyweight division’s best. 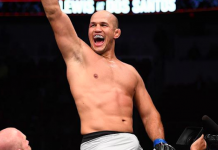 In the end, dos Santos earned his sorely-needed win, out-fighting the debuting Ivanov to a unanimous decision victory. 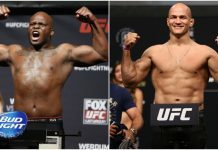 Having reaffirmed himself as one of the game’s premier heavyweights, dos Santos is now hoping to participate in a number-one-contender fight with former champion Stipe Miocic. Dos Santos called out Miocic on FS1 post-fight. “That would be a good fight, and I want that because I think we deserve it, both of us,” he said (via MMAjunkie). “Miocic was the champion that just lost the championship with one punch,” Dos Santos added, explaining the merits of the matchup. “That’s the heavyweight division. Sometimes, when you connect right on your [chin], you’re done. 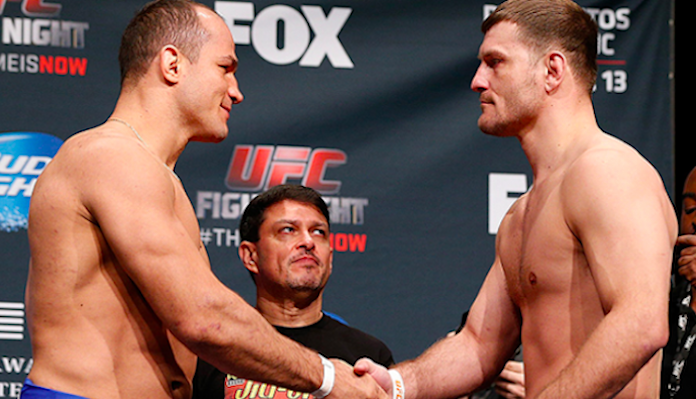 Junior dos Santos and Stipe Miocic have fought twice before. Dos Santos won their first fight, which occurred in December of 2014, via hard-fought unanimous decision. Miocic won their second, which went down in May of 2017, via first-round knockout. 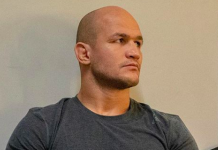 Does a third-fight between Junior dos Santos and Stipe Miocic interest you? Do you think the winner would deserve a title shot? Join the debate in the comments section below.